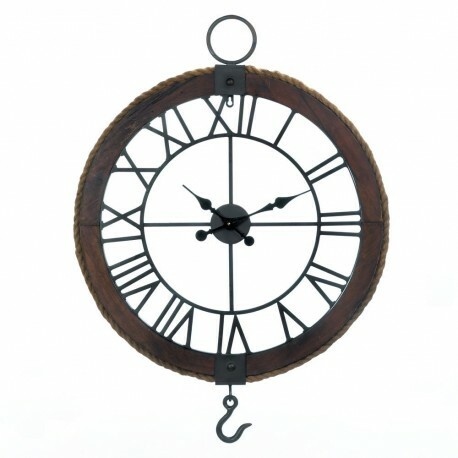 This is one of the most striking clocks ever! The industrial style blends rustic accents with simple form that creates a gorgeous focal point for any room. The rustic round wood frame is surrounded by rope detailing and an industrial hook hangs at the bottom. Weight 6.8 pounds. 25.5" x 1.25" x 33.2". Fir Wood, Rope, Metal.